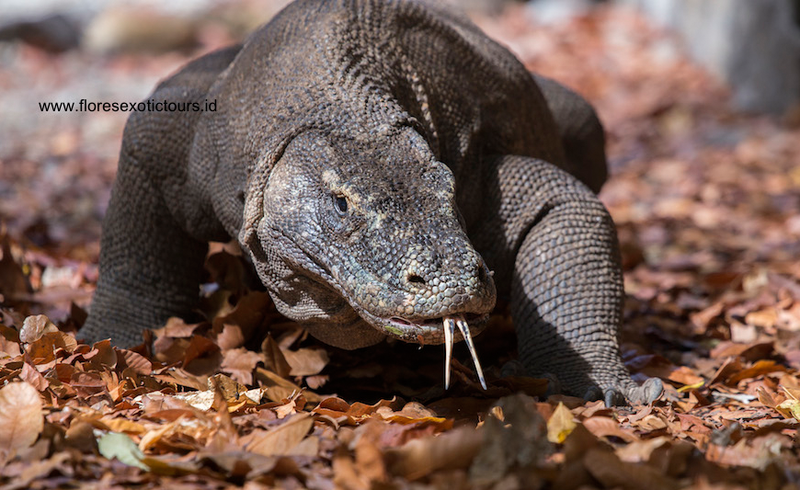 Komodo adventure tours, 3 days 2 nights tours to Komodo, to discover the giant lizard Komodo Dragon in their home land, Komodo National Park. Based on an individual private tour, min. 2 people in double or twin room. Early morning start from Rinca to Komodo island, arrive in Komodo and take a medium trek for about 1 1/2 hours. It passes a waterhole where the Timor deer and wild pigs often come to drink. Sometimes, dragons can be found there lying around and waiting. You will climb Sulphurea Hill and Frigate Hill, where a magnificent view across the islands, bays, and beaches awaits. Return to the boat and proceed to a pink beach. This peculiar beach gets its color from red coral fragments. It is definitely a great place to spend some time by just laying back or enjoying the underwater world with your snorkeling equipment. Lunch on board and afternoon back to Labuan Bajo. Overnight at Puri Sari Hotel or similar. Mineral water, Coffee on tea on the boat.